No internet today, and a crappy motel ends a great day of riding. 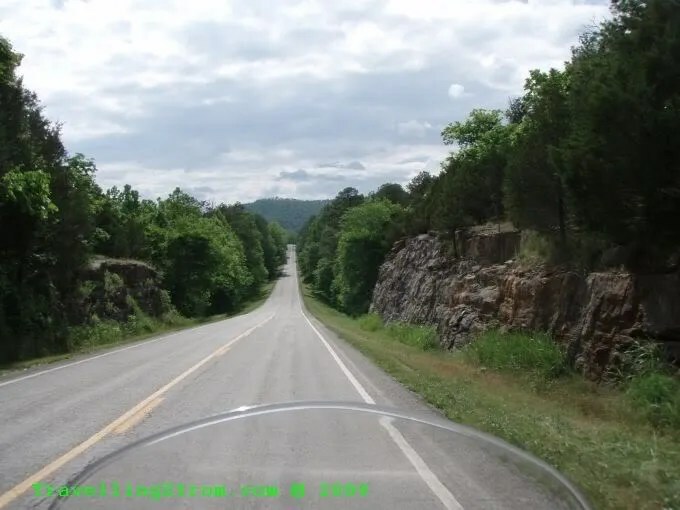 Well, I finally got back on the road after an enforced layover and immediately did not find the right road 🙂 That is not like saying I was lost, but Charlie had told me about a small loop road between Eureka Springs and Berryville so I headed east a bit and was looking for a sign pointing south with 212 on it. In this map which is the final effort, I actually, at first travelled east along the yellow line above the one marked in red. 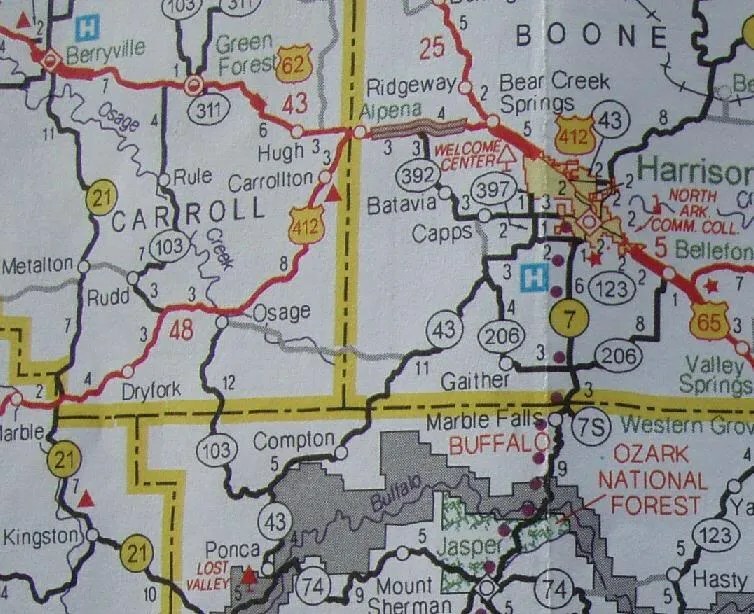 After getting back to Berryville I headed east on the main hwy62 and I stopped at a visitors centre to grab a map of the state, but I found it to be a waste of paper, one of the worst travelling maps I have seen. Check this out, the colour scheme is atrocious, the individual county boundaries are highlighted in bright yellow, so they stick out like dogs balls. The actual roads are the wrong colour as compared to other maps I have, and it is basically not a road map. Now, note the map I took from Google above, this also shows a lot of blank areas and I had to free hand the road I was on, but that was due to scale. If you zoom in on that area, there is a menagarie of roads. 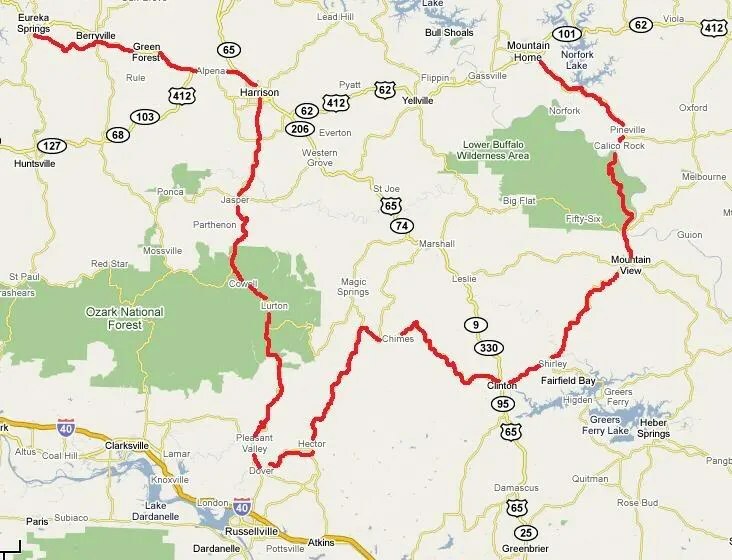 Absolutely hard to read at a glance which are the roads, and not all the roads are on there, so if I want to take a non major road as a diversion I am stuck with the old method. This is what I ended up doing. I use my large road atlas to plan a route, then write the direction, the road number, a major town along the route and so on, onto a piece of paper. This is in my tank bag map case, so with a quick glance down I can see what road number I need to take at a town or junction, this leaves my attention for the traffic etc. Not the best outcome, but all I can do at this stage. Anyway, at the visitors centre is a perfect example of a 5th wheel type camper for those who have no idea. The trailer is connected to a specially fitted attachment in the bed of the ute, it is exactly like what a semi trailer connection is like, hence the name. 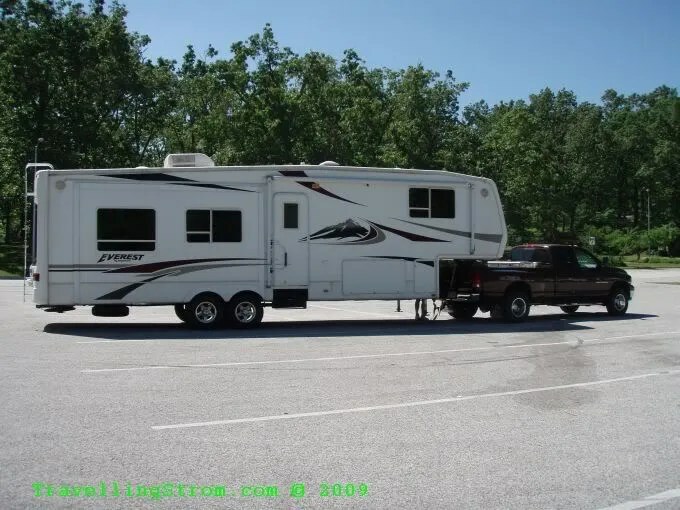 This is how a lot of Americans go “camping”, as long as they can plug in their 50Amps of power, their cable TV and their crapper and water, they have a home away from home. This is why I am in motels, because there is no infrastructure for tenters. I was just gearing up when this chap pulled up next to me, what have I done? But lucky for me, it turns out he was booking the bloke in the black car, whew! 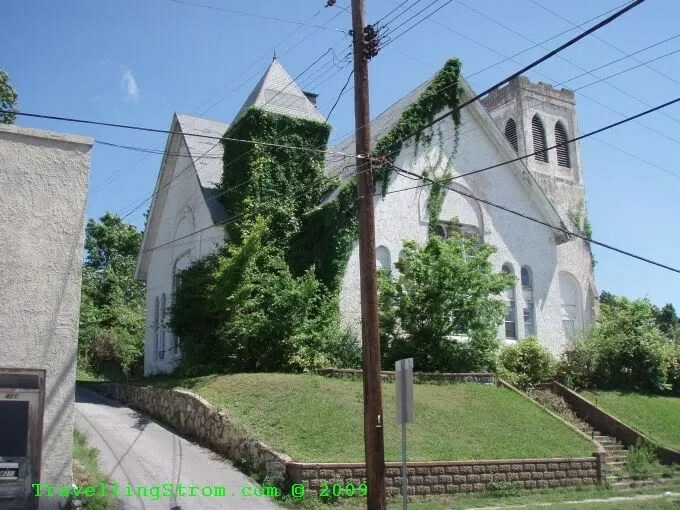 I get into Harrison and saw this old church, in dire need of a trim, but it looked nice, except for all the power lines in the way, but I was in a no standing spot as it was and nowhere could I see a vantage point without them. 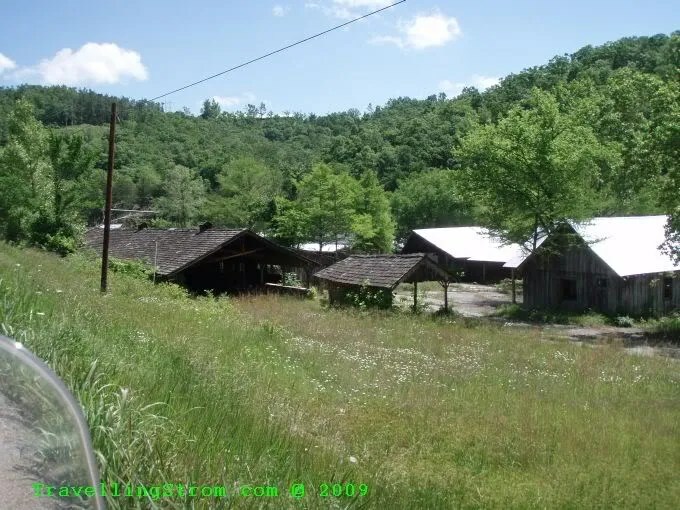 I saw this little village on the left hand side and tried to pull into the next driveway but it was blocked off, no trespassing, so I did a U-turn and went back. 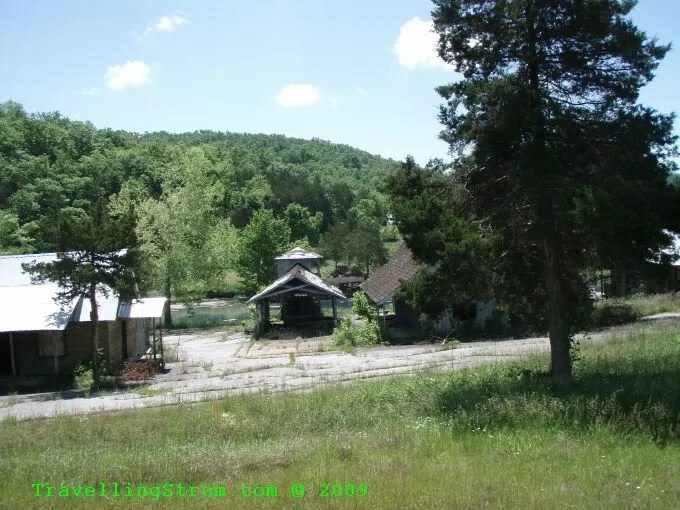 It must be an old private resort thing, but very old, most of the buildings were pretty well rooted and the lake they surrounded was quite overgrown, but there was some great potential here. A bit of a clean up and it would be a real nice posi! It would have looked real nice in its prime I reckon. 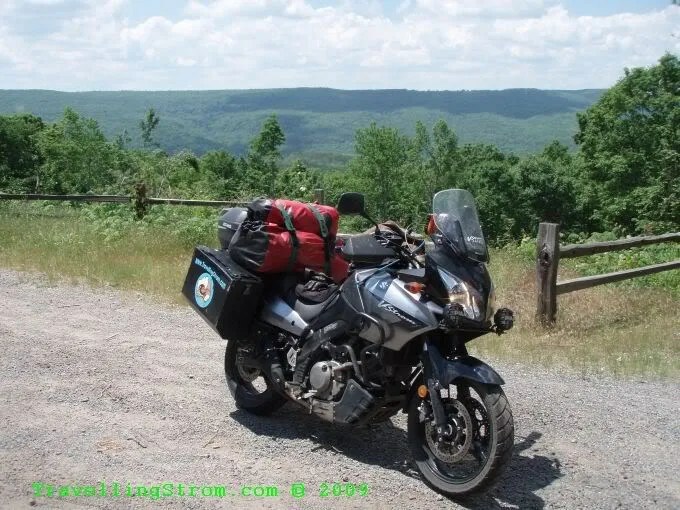 I stopped at a scenic lookout place for a quick snack and another look at the atlas. 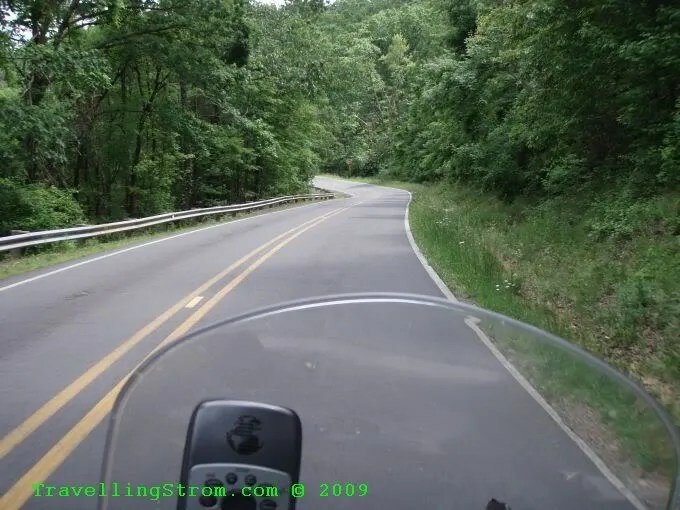 I was still dithering about which way to go, because I would like to be at Deals Gap by about Monday/Tuesday night (mid week is best, not so many crotch rockets). This, as I found out during my studies is not up north, but actually south and east of me. 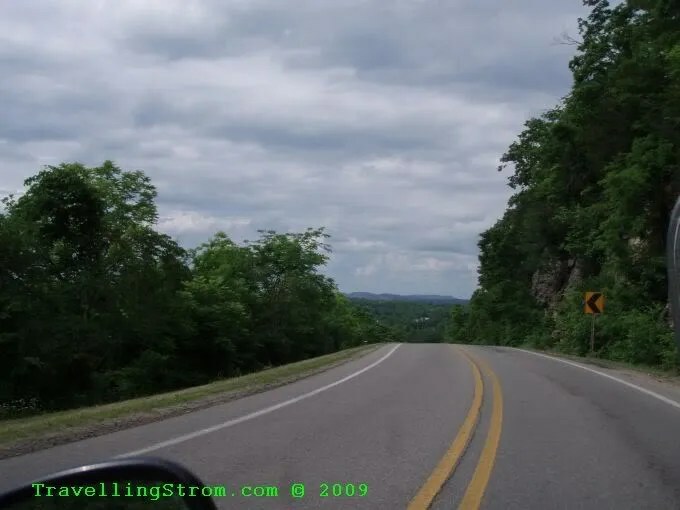 But, I had the time and it would be a shame to waste these roads and the weather, so while it was not raining, I decided to work my way back up north via the scenic bits of road, until later in the day at least. And for the next hour or so I played in the hills. But, of course it had to end and I hit traffic near Mountain View, with no way of passing that was safe! It beats me why these trucks are allowed on these roads, they have no option but to cross over the double yellow lines, the corners are too tight, so they are a constant menace to bikes, and other vehicles as well really. 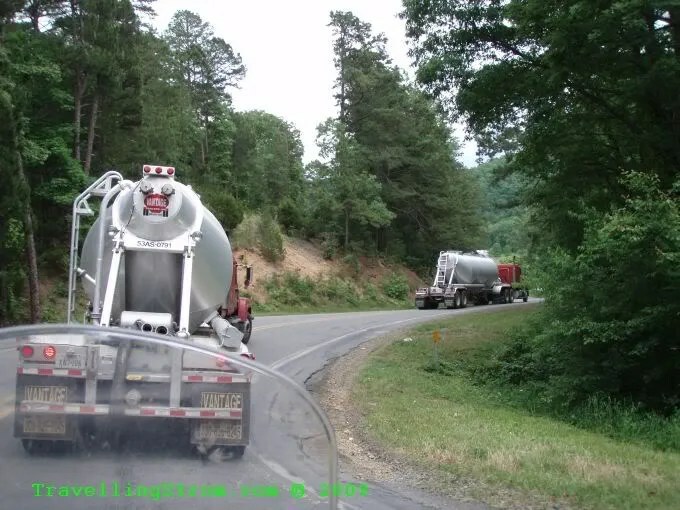 You have to be very careful of what may appear around a corner coming your way AND in your lane!!! Especially leant over into a left hand bend when your head is close to, or over the centre line. 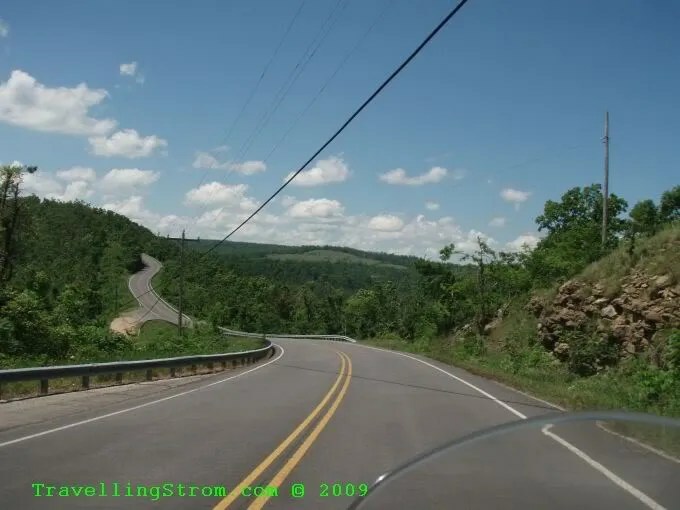 This will sound strange to Aussie bikers, because back home it is the other way around, right hand corners put your head over the centre line. 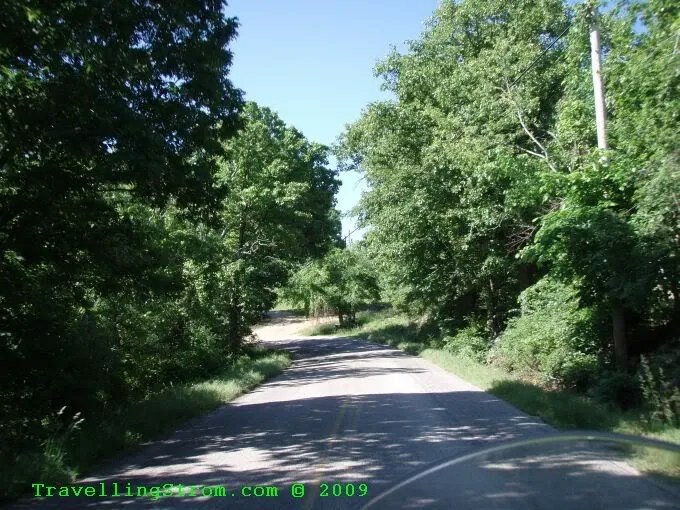 I actually had to think twice before I wrote this bit, I am now accustomed to driving on the right. I wonder if this will change when I get to Canada, hmmm. 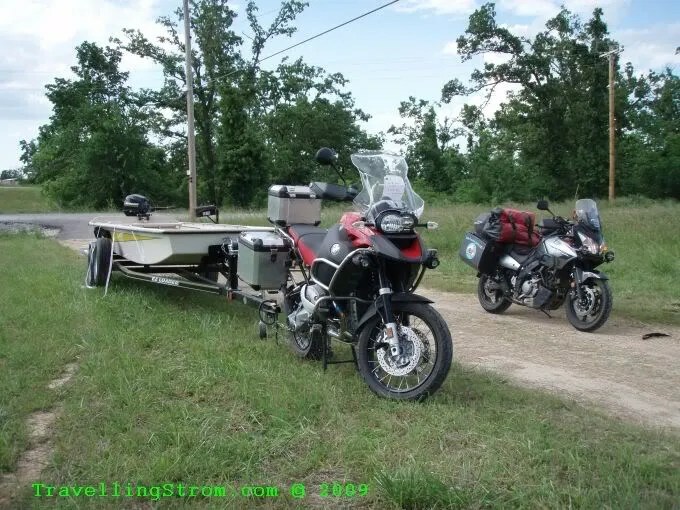 Al and Kathy had mentioned the other night about a motorbike they had seen with a canoe being towed on a trailer, with all his camping gear stashed inside, good idea. Well, I thought this was it until I realised it is not a canoe, doh, it has been a long day what!!! It turned out to be a BMW for sale, and the fishing punt was also for sale and they had been chained together, it sure looked real from the road, hahaha. I got into Mountain Home half 5 or so and started to look around for somewhere to stay. The first place I tried was a Days Inn, but way too expensive. The chap told me it was a resort town, expensive, and also it was Memorial Day weekend, so the prices went up accordingly. I had no idea what Memorial Day was, but he explained that it is a day to remember those who had passed on and also a way to show respect to those in the armed forces who had given their lives for their country. Anyway, this chap helped me by phoning a few other cheaper places and I found a vacant room. In the end it turned out a crap joint and the internet did not work, so I ended up spending a quiet evening doing some computer repairs. I had done an upgrade of something the other day and things were not the same afterwards(insert, it was a FlashPlayer upgrade, beware). I had run a few diagnostic programs overnight, but when I woke up this morning I had the dreaded BSOD(blue screen of death) and some extra weird things happening after I rebooted. Anyway, a quiet night nursing my laptop and reading a book while diagnostics did it’s thing, I bought a cheap deal on KFC so I had some extra for tomorrow, so I fridged the bits I did not eat and ended up watching a Jacky Chan movie on TV, with bloody subtitles. I asked the motel manager for a better remote, but he was having dinner and he said he would come by soon and fix it, he never turned up. The menu button on the remote when activated showed a number of choices on the screen, one of them was the ‘subtitles = on/off’ but there was no arrow buttons on the remote to get down to there and turn the damm thing off, very annoying. Charlie is of the opinion this road is over rated, due to the number of prangs and wipe outs, also because the cops run this road in force with speed guns and book you for just a few miles over the limit and they dropped the limit to 55 as well. 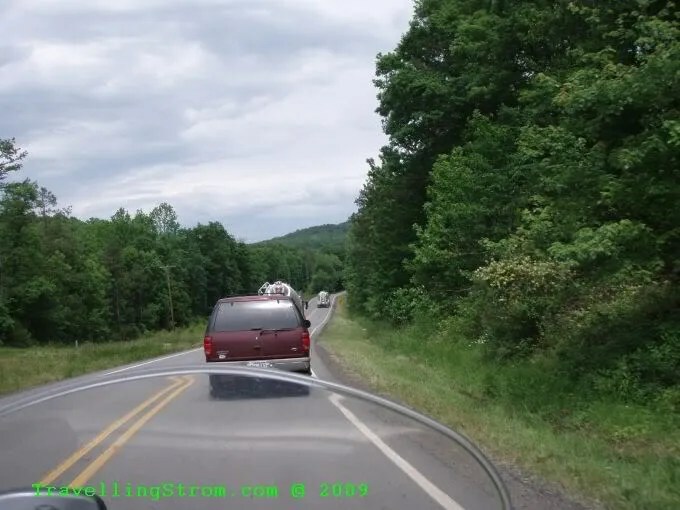 Also, because the road is full of crotch rockets and idiot riders who run wild. Well, by crikey mort, I do believe him, but I am over here, I will probably never get a chance to do the tail ever again 🙂 It will be a good test of my new tyre, but of course I will take it sort of easy as I need to survive, because I have other challenges ahead, did someone mention Prudhoe Bay or the Road of Death down south? 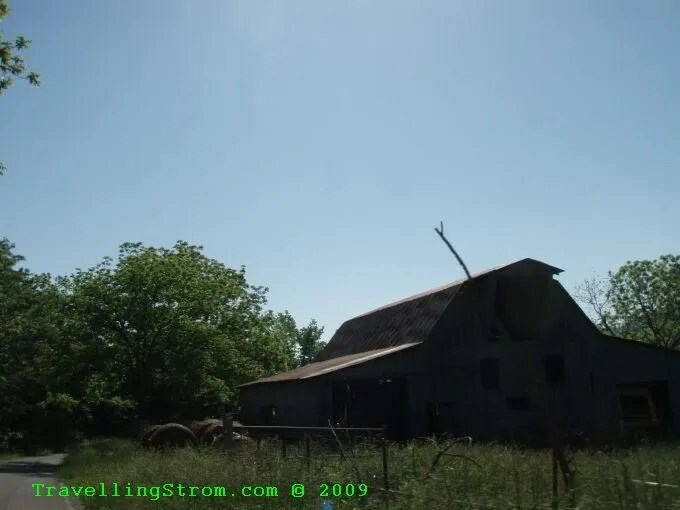 This entry was posted on May 22, 2009 at 22:31	and is filed under Around The World. You can follow any responses to this entry through the RSS 2.0 feed. You can leave a response, or trackback from your own site. 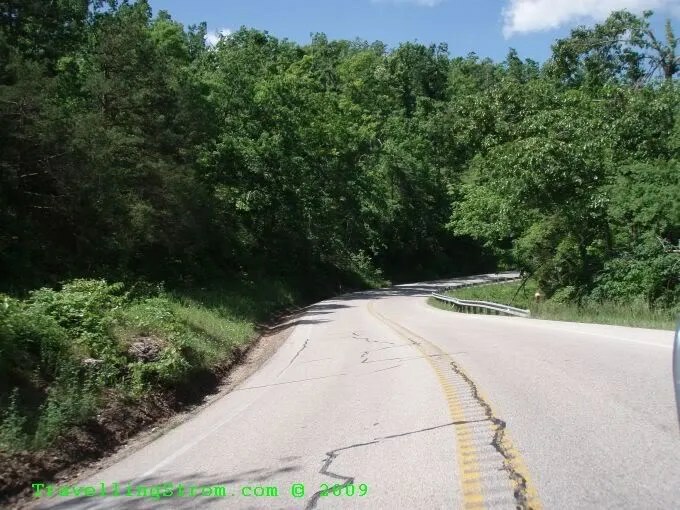 Don’t get me wrong Deals Gap is a great road. 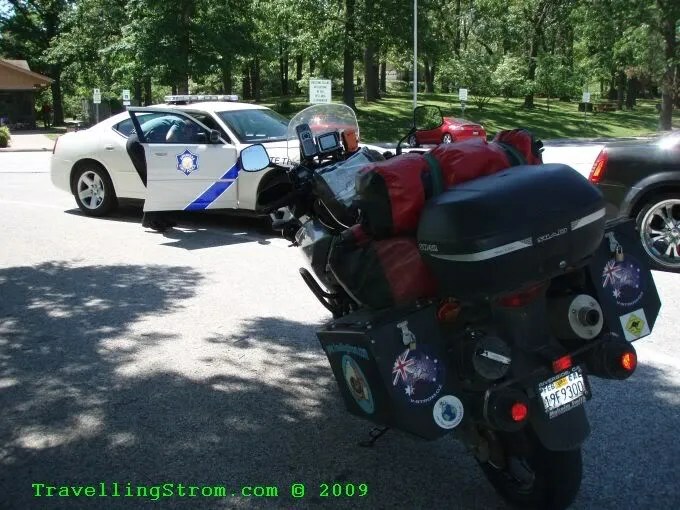 It is just hampered by the LEO presence and besides there are other great rides in the immediate vicinity. I just have that “been there, done that” thing going. Ride safe my friend. 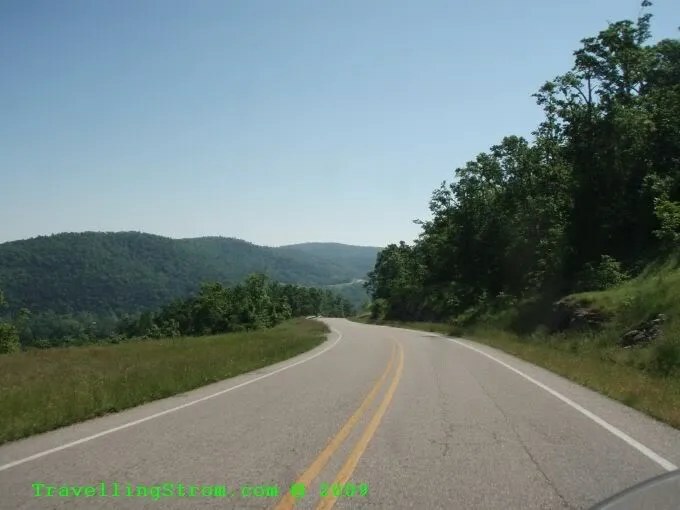 Since you are in the area the Cherohala Scenic Skyway(hwy 143)is also a great ride with better views than the “Tail”. Enjoy! Safe Rides! 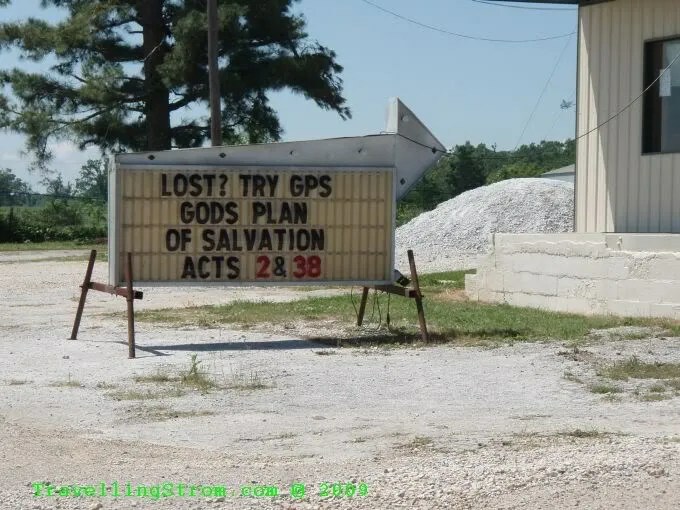 Thanks for the tip, I shall look to see where it is and somehow fit it in. 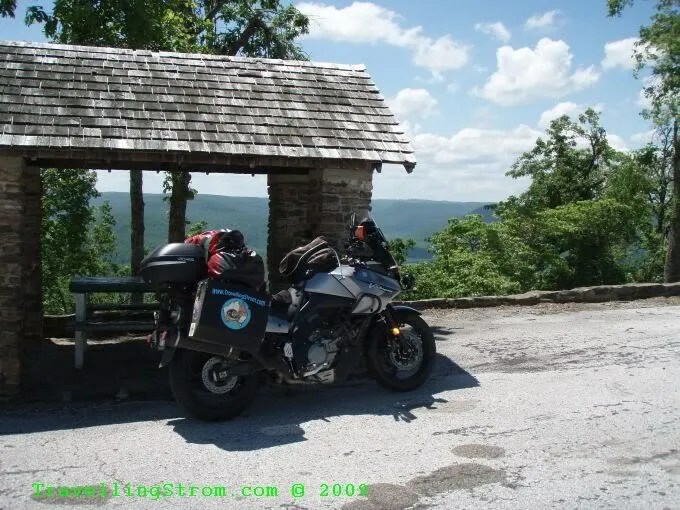 Just came throught the area of Deals Gap and the “Dragon” on the 21st of May. 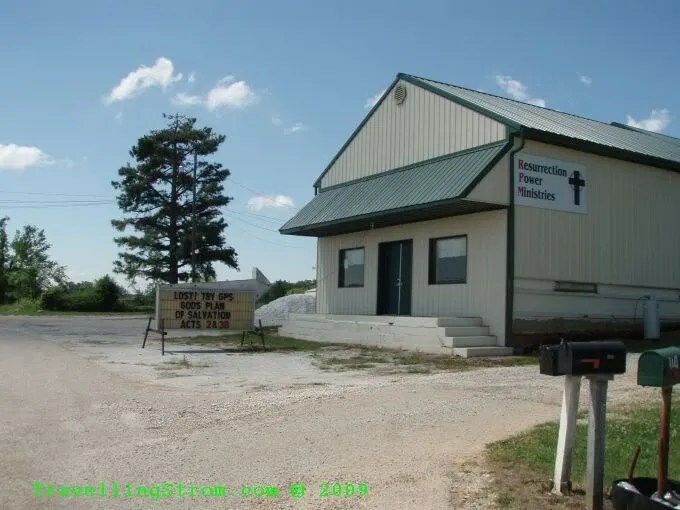 Absolutely NO LAW ENFORCEMENT PRESENT!! All day long!! 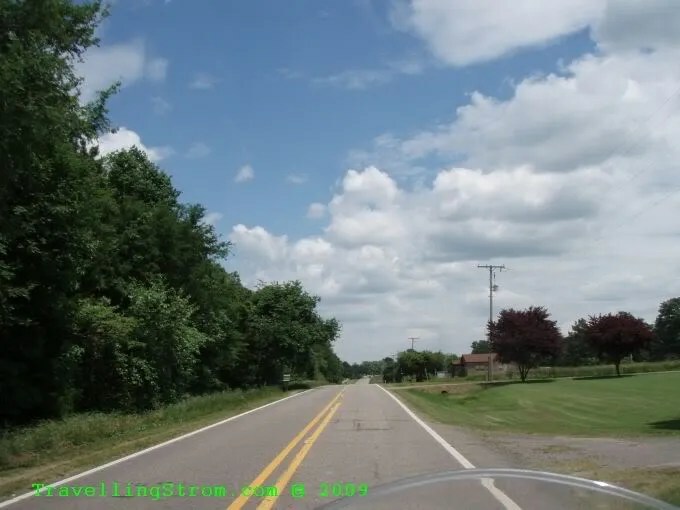 I couldn’t believe the speeds that I witnessed! 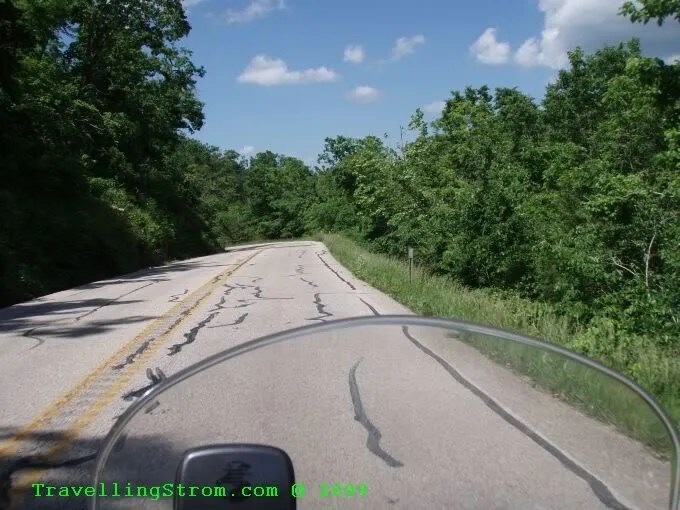 When I got to the other end and stopped, my rear tire was actually SMOKING!!! And I was on an overloaded V-Strom!! Enjoy the ride! The “rockets” were preent, but very safe and courtious to oncoming traffic. 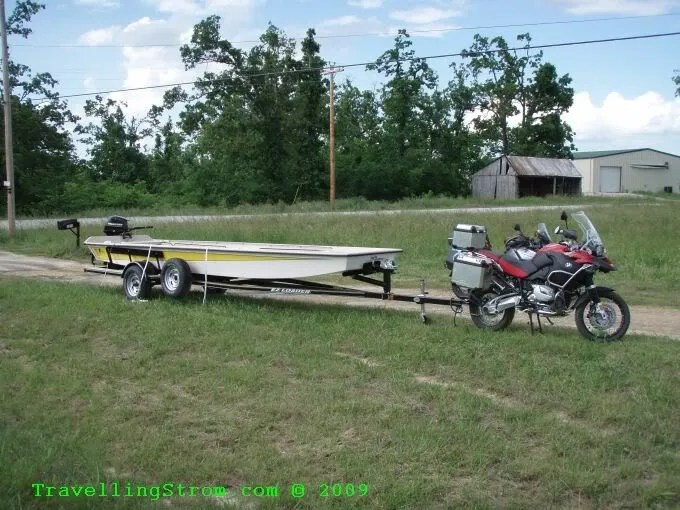 I was very sorry to see that the BMW with the boat on the trailer was not real. I saw your first picture and I thought, Finally, someone is a F@cking genius. I have been waiting for that setup for years. Looking forward to seeing you in a couple of weeks in Dakota. We’ll keep the beer cold till you get there. TS Enjoy your ride on The Dragon. I am 100 % oposit of most. I don’t care to carve up the Dragon at high speed. I an not that fast and I would like to ride my bike next week too. I would be there on a Saturday too. Do a weekday to enjoy the ride and a Saturday to see all the people. Like the people said above ride 143 or the Cherola Skyway it is very pretty. 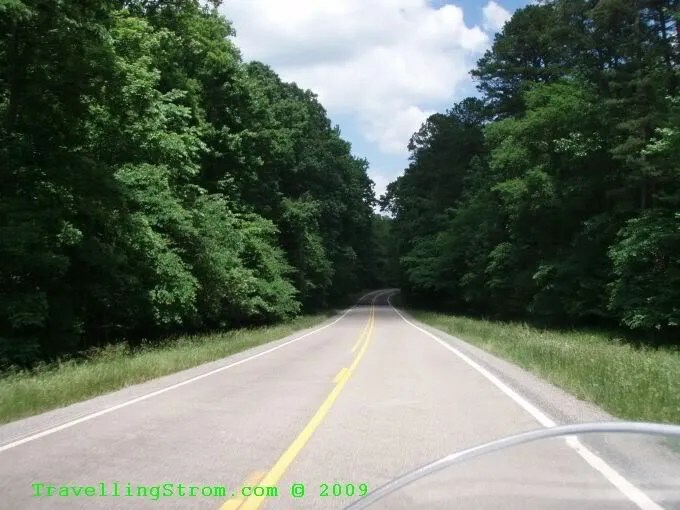 The ride thru the National Park is good too. There will be lots of traffic but it is still good.